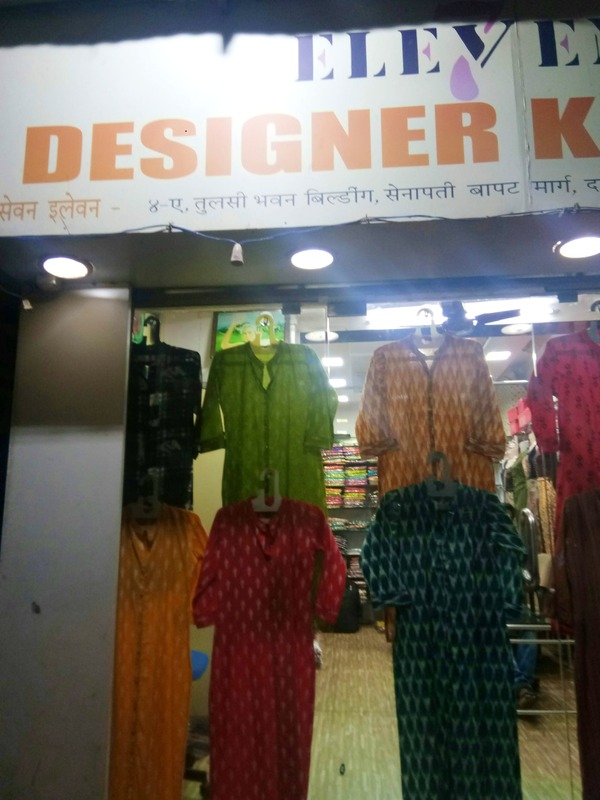 If comfy cotton kurtis is your thing, then look no further than Seven Eleven in Dadar. The blues and greens on display tempted us to go inside and try a few of their pieces out, and we were quite impressed by the quality. The shop sells designer kurtis from INR 300, to INR 1200 and the fabric is so soft, that you'd want to wear them throughout summer. Their designs aren't too fancy, but the clothes are all value for money, and great for the upcoming season of the scorching sun. Get your hands on them if you like to fall back on comfy kurtis after trying and testing every other look. They must think about expanding a bit when it comes to designs though.